Getting a visa can always be the first obstacle you encountered before each trip abroad. Now you can let Travel agencies help you with a Visa-on-Arrival – the smoothest way to start your trip to Vietnam. Vietnam Visa on Arrival (or VOA) is one of the two types of visa, whose name perfectly describes its nature: you will get your visa upon your arrival. If your application is approved, an approval letter will be issued and sent to you via email. With this approval letter, you can get your official visa stamp into your passport at the visa counter of the arrival airport. Visa-On-Arrival is limited to travelling by air, so for border crossings where it’s not available, you will need to apply for a visa in advance at the Embassy. 2, Why a Visa-on-Arrival to Vietnam is a better option? If you live far away from the Embassy or do not want to send your original passport off, visa on arrival would be more convenient as the procedure is done totally online and travel agencies will deal with the authorities on behalf of you. All you need is an internet-connected device. Process only takes up to 2 working days or even shorter if you choose urgent processing service. 3, What is an Approval letter and how can I get one? A Visa Approval letter is an official letter issued by Vietnam Immigration Department that allows you to get your official visa stamp at any Vietnam international airports, including Noi Bai International Airport (Hanoi), Da Nang International Airport (Danang), and Tan Son Nhat International Airport (Ho Chi Minh City). You will receive your approval letter in a scanned file via email. 4, What documents and information I need to provide? 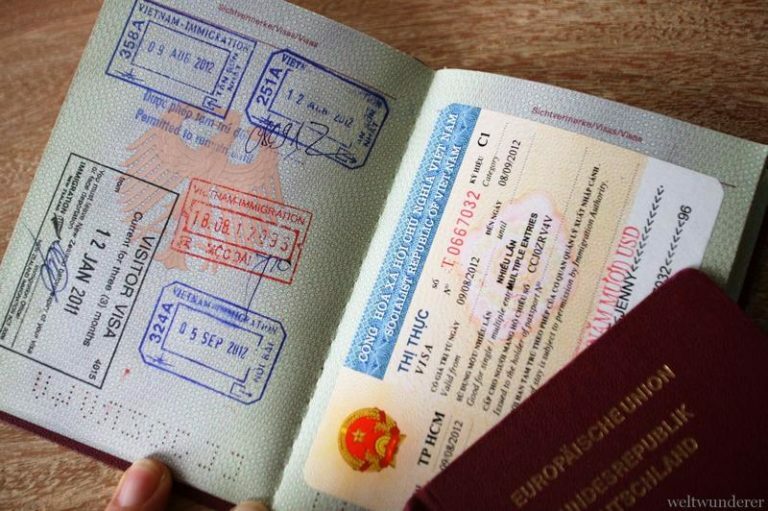 Citizens from some specific nations are exempted for Vietnam visa while some others have different requirements. Checking your requirements is very important before applying. Make sure you input correct information as we will process your application based on what you provide. Though the process for VOA only takes up to 2 working days, you should apply at least 1 week before departure to avoid any issues at last minute. Urgent processing (express service) is recommended if your date of arrival is close. Keeping in touch is indeed necessary. Do not hesitate to email or call us at our hotline number if you have any concerns. Let’s get your journey started by visiting our website at www.getvisavietnam.com, one of the fastest and most guaranteed Visa-on-Arrival services with up-to-date information.